From 2002, his research interests expanded to adult stem cell, regenerative medicine, and use of nanoparticles in the tracking of stem cells. Professor Chen accomplished 1st auto-BMT (1983), 1st allo-BMT (1984), 1st cryopreserved-marrow transplantation (1986), 1st PB stem cell transplantation in the treatment of solid tumor (1992) in Taiwan. He advocated the first Taiwan marrow donor campaign in 1993 and also helped to establish the 1st BMT center and accomplished 3 BMT cases in Vietnam in 1995. His team in laboratory recently isolated stem cells from placenta and developed stem cell tracing with using nanoparticles. 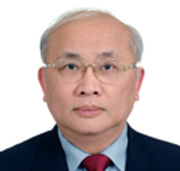 Professor Chen have published more than 100 papers in hematology field, many of them are on important international hematology and oncology journals. 1.Chung TH, Wu SH, Yao M, Lu CW, Lin YS, Hung Y, Mou CY, Chen YC and Huang DM. The effect of surface charge on the uptake and biological function of mesoporous silica nanoparticles in 3T3-L1 cells and human mesenchymal stem cells. Biomaterials, 28:2959-2966, 2007. 2.Lu CW, Hung Y, Hsiao JK, Yao M, Chung TH, Lin YS, Wu SH, Hsu SC, Liu HM, Mou CY, Yang CS, Huang DM and Chen YC. Bifunctional Magnetic Silica Nanoparticles for Highly Efficient Human Stem Cell Labeling. Nano Letters, 7:149-154, 2007. 3.Chang CJ, Yen ML, Chen YC, Chien CC, Huang HI, Bai CH and Yen BL. Placenta-Derived Multipotent Cells Exhibit Immunosuppressive Properties That Are Enhanced in the Presence of Interferon-Y. Stem Cells, 24:2466-2477, 2006. 4.Huang DM, Hung Y, Ko BS, Hsu SC, Chen WH, Chien CL, Tsai CP, Kuo CT, Kang JC, Yang CS, Mou CY and Chen YC. Highly efficient cellular labeling of mesoporous nanaprticles in human mesenchymal stem cells: implaction for stem cell tracking. The FASEB Journal, 19:2014-2016, 2006. 5.Yen BL, Huang HI, Chien CC, Jui HY, Ko BS, Yao M, Shun CT, Yen ML, Lee MC and Chen YC. Isolation of Multipotent Cells from Human Term Placenta. Stem Cells, 23:3-9, 2005. 6.Lin YS, Tsai CP, Huang HY, Kuo CT, Hung Y, Huang DM, Yao-Chang Chen YC and Mou CY. Well-ordered Mesoporous Silica Manoparticles as Cell Markers. Chmemical Materials, 17:4570-4573, 2005. 7.Chen YC, Lin KH, Huang WS and Tang JL. Bone marrow transplant in Taiwan: an overview. Bone Marrow Transplantation, 13:705-708, 1994. 8.Chen YC, Chen PJ, Yeh SH, Tien HF, Wang CH, Tang JL and Hong RL. Deletion of the human retino-blastoma gene in primary leukemias. Blood, 76:2060-2064, 1990. 9.Chen YC, Wang CH, Hu CY, Su IJ, Chou NJ, Lee TH, Chung TY, Liu CH and Yang CS. Infection of human T-cell leukemia virus type I and development of human T-cell leukemia/lymphoma in patients with hematological heoplasms-a possible linkage to blood transfusion. Blood, 74:388-394, 1989.